Gary: Hey man, did you get into that Sinead O'Connor concert last night? Mike Waters: To the Sinead? What? Gary: You know, the chick with the bald head. Mike Waters: I've never been to a concert before, dude. I'm not quite sure what to make of 'My Own Private Idaho.' I am aware of it's huge cult following and that makes me want to like it more than I did, or at least give some thought as to why I didn't think as highly of it as many others did. 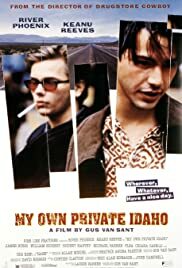 Gus Van Sant is a hit or miss director - Drugstore Cowboy, To Die For, and Good Will Hunting were all excellent, Even Cowgirls Get the Blues and his Psycho remake were horrendous - and I hate to say that I'm leaning more towards the miss column with 'My Own Private Idaho.' The best way I can put this film is that it seems like there are too many cooks making the soup and all the ingredients have been served better. Van Sant wants to make this a road movie, a comedy, a coming-of-age movie, a Shakespeare play, a surreal picture... I feel like he's taken the best elements of 'Easy Rider', 'Pixote', and 'Henry V' and mangled them. 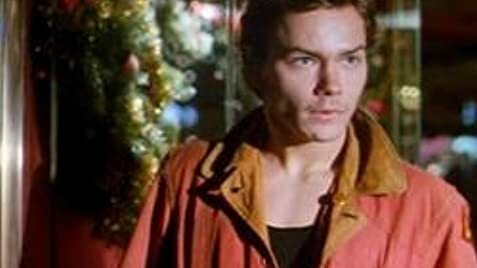 River Phoenix is excellent though, he's the best part of the film and I give the credit solely to him. Why? Because ever other performance just isn't very good. Reeves seems uncomfortable in almost every scene whether it's quoting Shakespeare or lying shirtless in bed with Phoenix, he can't pull off what this movie wants. Neither can Richert as the leader of the band of hustlers - who comes across so over the top and theatrical that as a contrast to Phoenix's mellow/realistic hustler it just doesn't work. The problem with taking dialogue straight from Henry IV is for one it's awfully hard to top the Bard for writing. Two; you need actors who can deliver it well. Van Sant has imagination and the visuals in the film are breathtaking. The movie starts off extremely well, but it's obvious that he had little control of the script or the actors and in the end that kills the movie. Very surprising that Phoenix didn't pick up an Oscar nomination.